Architecture & Age: Practice, Practice, Practice! The maestro's response was not the response the stranger was seeking, but it could have been more truthfully. We all know that to really achieve success, one must practice, but nowhere is this truth more pronounced than in the practice of architecture. While some architects achieve some measure of notoriety at a young age, most go on to greater fame as they mature. It seems that architects improve with age, and retire very late in life, if at all! Let's look into this phenomenon. In the last post we observed that many architects kickstarted their careers by designing houses for their parents. But the story does not end there. Allow me to make a few points before continuing. First of all, few "want-to-be" architects are able to complete the rigors of architecture school, conclude the required internship, and pass a difficult licensing exam before they reach 30 years of age. So the architects I mentioned in the last post were not exactly spring chicks when they designed their parent's houses. Robert Venturi was 38, Richard Rogers was 35, and Richard Meier was a spry 31. Second, architecture is hard. It takes a long time and a lot of practice to master the skills necessary to create buildings that are both functional and beautiful. There is so much to know - codes, materials, systems - and it takes time to get a handle on all of this. Third, when it comes to buildings, clients understand the complexity involved and they want an architect with experience. From the architect's perspective, we gain confidence with practice and often do our best work later, around the same time that those around us begin to retire. Robert Venturi was 66 when he designed the Sainsbury Wing, Richard Rogers was 67 when he designed the Millennium Dome, and Meier was 66 when he designed the Getty Center. Fourth, architects often forego retirement altogether, or retire several times! Why retire when you're just getting the hang of it. Robert Venturi is now 90, Richard Rogers 82, and Richard Meier, the youngster, is 81. All are still practicing. The connection between architectural practice and age is not unique to these three. Let's look at some others. 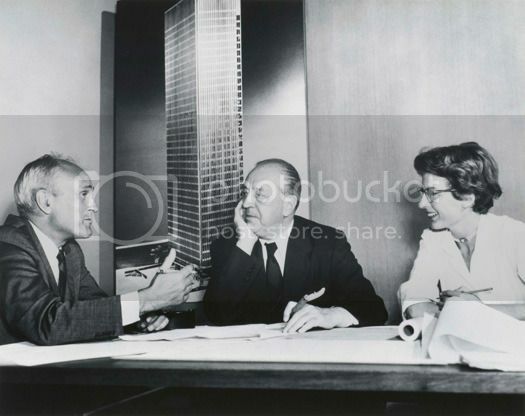 Ludwig Meis van der Rohe is known for many pioneering designs, but none garnered more attention than the iconic Seagram Building in Manhattan. This building, completed in 1958 when Meis was 72 years of age, influenced skyscraper design for decades. 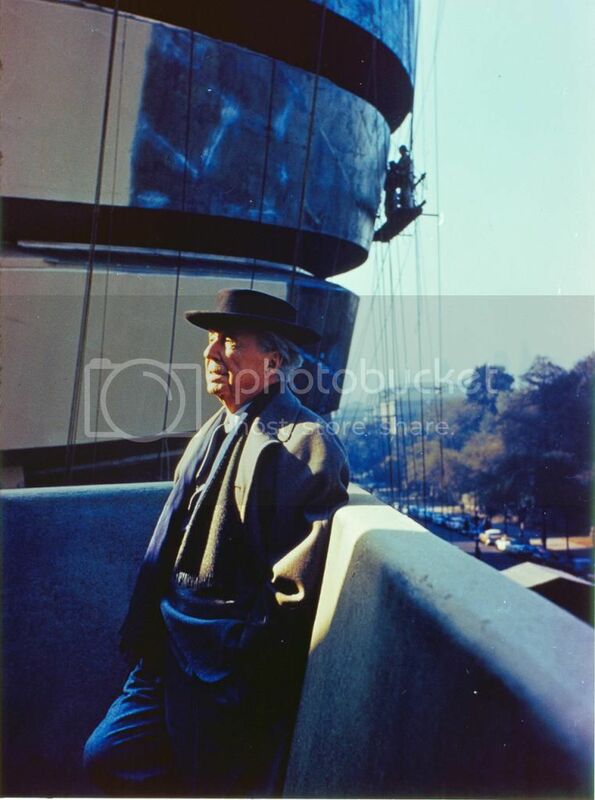 Frank Lloyd Wright was a prolific designer in the waining years of his life. He died while his masterpiece, the Guggenheim Museum, was nearing completion. The year was 1937 and Wright was 92 years old. 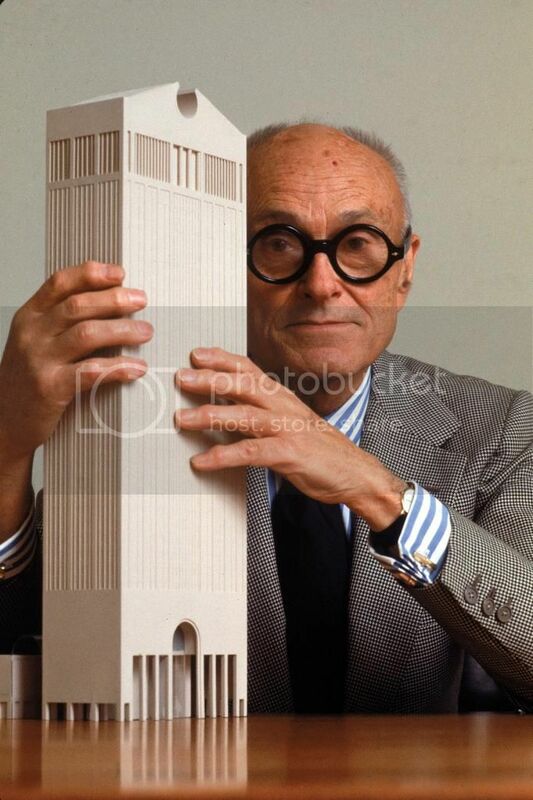 Philip Johnson was a charismatic ambassador for architecture throughout his career, which spanned from the creation of his glass house in 1949 until his passing in 2005. Perhaps best known for his AT&T Tower (now the Sony Tower), completed in 1987, when he was 78, he continued to produce significant projects until his death at 99 years of age. I.M. 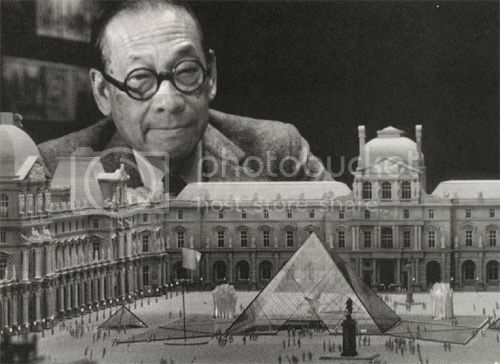 Pei's masterwoks are numerous, but his clean modern aesthetic is most pronounced in his underground addition to the Louvre, in which a slick glass pyramid penetrates the courtyard and plays a subservient role to the surrounding buildings. He was 72 when the project was completed in 1989, and he continues his practice, still creating exciting building forms, such as his 2009 Macao Science Center. 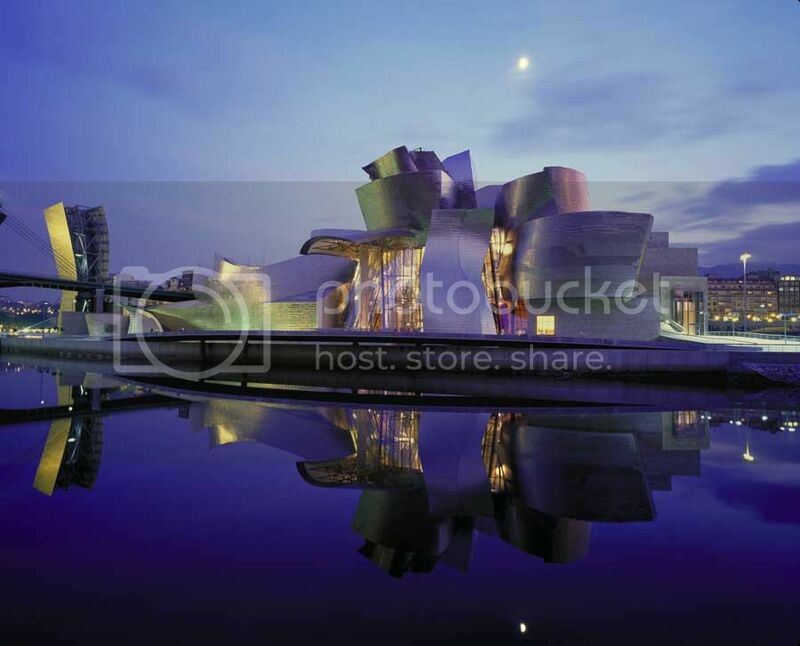 Frank Gehry rose to international notariety and popular acclaim after the 1997 completion of the Guggenheim Museum at Bilbao. This project demonstrated, more than any other building in modern times, the power of architecture to transform a city. 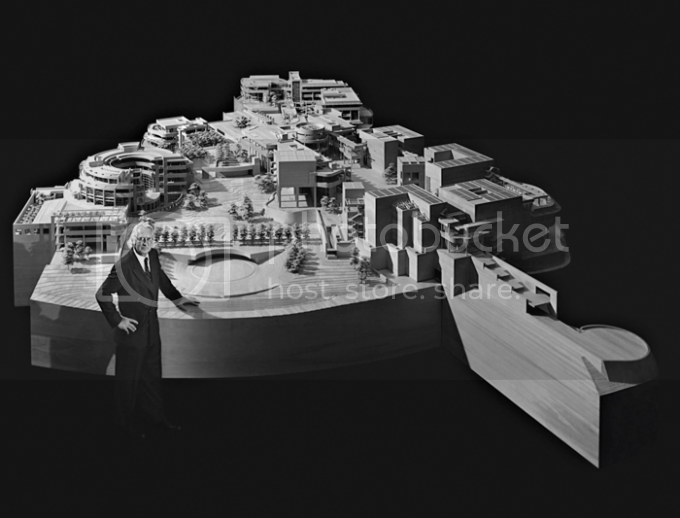 Gehry completed it at the age of 68 and has since designed several other noteworthy constructs. He is still practicing at age 86. On a personal level, as a "mid-life" architect, I found this study uplifting. In a culture that places so much value in youth, it is refreshing to see that in at least one arena, architecture, experience is prized. Experience borne out of practice, practice, practice. Success in the field of architecture depends on many variables, one of which is timing. Next month I'll explore the careers of two architects who might not have been recognized, if not for good fortune related to timing. Join me for To Be Frank.